Woodbury is an active lifestyle community in Apex, North Carolina. This amenity-rich community offers residents a low-maintenance lifestyle. 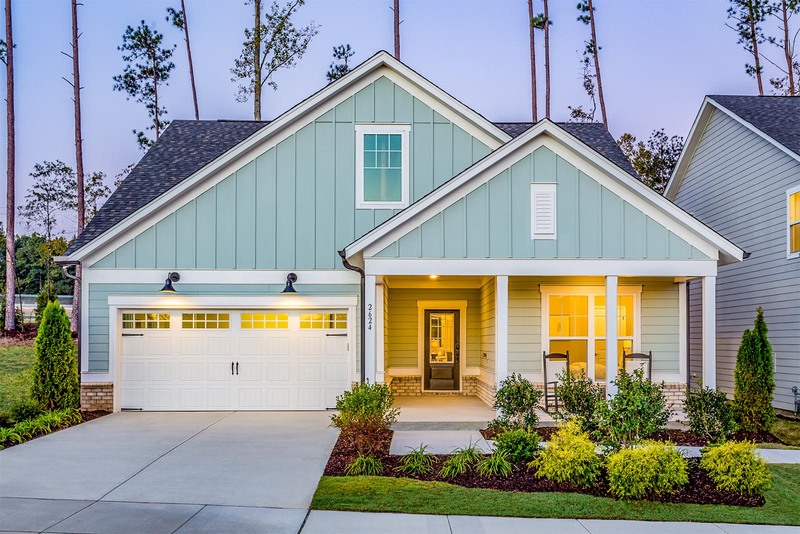 With classic amenities and single-family homes, this community is ideal for homebuyers looking to build a new home in a large community with southern-style architecture and a laid back lifestyle. With ample space for relaxing or spending time with friends, the clubhouse is home to the social activity at Woodbury. 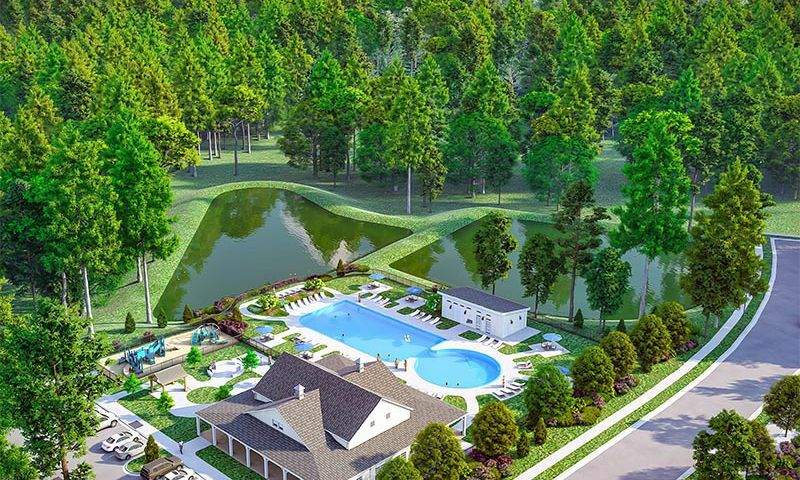 Outside the clubhouse, residents will enjoy an outdoor pool and patio. Homeowners of Woodbury will be able to stay active and enjoy the community's pickleball and bocce ball courts. Residents who have younger visitors will have access to the community's playground. Residents of Woodbury will also have plenty of parks and natural space where they can enjoy the pleasant North Carolina weather. Woodbury will be made up of 400 homes. 65 of those homes will be low-maintenance, single-family homes that offer single-story living. These low-maintenance homes, part of the Cottage series, will have charming exteriors and range from 1.656 to 1,885 square feet. With five distinct home models, homebuyers can choose the style which best suits their needs. Homes will have two to five bedrooms with two to three-and-a-half bathrooms. Flex rooms, sunrooms, and outdoor patios there is plenty of room for customization of homes. All homes include an attached two-car garage. Just under a half hour drive from Downtown Raleigh, Woodbury is not far from everyday necessities. Residents of Woodbury will be less than 20 minutes from a Food Lion and Walgreens with several other local restaurants and stores in the area. Close proximity to Downtown Raleigh gives residents access to all the fine dining and cultural outlets that the city has to offer. Just 20 miles away from the community is Raleigh-Durham International Airport, so long-distance travel is a breeze. Access to quality healthcare is not far away with Duke Raleigh Hospital less than a half hour away. Active adult homebuyers looking for an active lifestyle community in the Raleigh region of North Carolina will love Woodbury. There are plenty of activities available in Woodbury. Here is a sample of some of the clubs, activities and classes offered here. 55places.com is not affiliated with the developer(s) or homeowners association of Woodbury. The information you submit is distributed to a 55places.com Partner Agent, who is a licensed real estate agent. The information regarding Woodbury has not been verified or approved by the developer or homeowners association. Please verify all information prior to purchasing. 55places.com is not responsible for any errors regarding the information displayed on this website.